When I first saw the spiky six petals of this little white flower, it was surprisingly hard to track down what it was. There seems to be a lot more information about its big cousin, the lily. 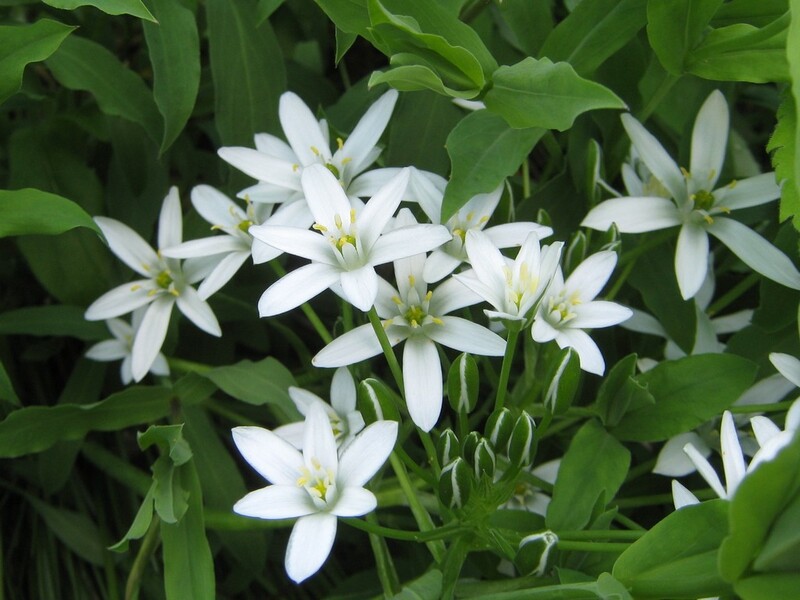 When I finally identified it as Star-of-Bethlehem, I was a little worried, as words like “invasive” and “aggressive” keep cropping up. Of course, by the time I got it into my head that I should eradicate it, it had already gone back to earth. I tried a couple times in the next years to dig it up, but it seems to have deep roots. And it hasn’t actually been all that invasive, at least not in my yard. True, it turns up every spring, but only in a couple spots and those spots are pretty crowded. So there’s a bit of room for them. Besides, I have far, far worse weeds to war against.